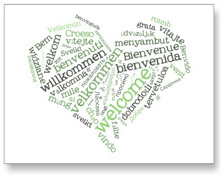 Welcome to the BELL Academy ESL Page! BELL Academy provides our students with the skills that they need to build a strong social and academic foundation. At BELL we strive for a rigorous and stimulating academic environment in which students find challenge and support. Our Freestanding ESL program is a combination of pull-out and push-in services where students are given multiple opportunities and support in order to further their knowledge of reading, writing, listening, and speaking in the English language.